One of the important elements of yoga for children and adults with learning disabilities is teaching them coping skills. Yoga proves beneficial in helping the mind and soul. It helps people with learning disabilities learn to respond to stress, tension, anxiety, and depression. Learning disabilities are a neurological disorder that hinders with processing basic reading and writing skills. They also obstruct with organization, planning, and reasoning capabilities. Yoga for people with learning disabilities assists them in finding balance and harmony in their lives. Breath and Self-Awareness: Pranayama are breathing exercises that help in controlling the breath and vital life forces (prana). It is a beneficial technique that helps understand the impact of breathing on our body. It helps people with learning disabilities to better focus on tasks at hand. Balance and Coordination: For people, who require additional emotional and physical support, yoga helps them in enhancing their coordination skills. The different yoga stretches and postures will help them build balance in motion and promote quick reaction time. Increases Love for Learning: It reduces the frustration involved in learning everyday tasks. Yoga, when modified as per individual needs, helps children and adults learn how to put effort and maintain calmness at the same time. Improves Confidence and Self-Esteem: Yoga is known to benefit people learn social skills and gain self-confidence. Mostly performed in groups, yoga practices are non-competitive physical activities and remove the fear of failure and rejection. It increases self-acceptance by making us more aware of our capabilities and limitations. Lay on your back on a flat surface with one hand on your heart and other on your abdomen. If you have trouble laying directly on the floor, you can use a pillow-support under your head and knees for support and comfort. Breathe in slowly through your nose so that your stomach moves out. Your hand on your heart should be as still as possible. Keep hands relaxed, allowing your elbows to rest on the ground. Tighten your stomach muscles and exhale through pursed lips. Continue the exercise for 5-10 minutes. Stand with your feet hip-wide apart, toes pointing forward. Bring your hands to your hips and micro-bend your knees. Come forward from the hips with a flat back and cross your arms – holding onto opposite elbows. Stay in the pose for 5-10 deep breaths, in and out through the nose. Also called the winter cherry, Ashwagandha promotes healthy memory. It relaxes the nervous system and improves stress tolerance. Gotu Kola, also popular as ManduKaparni, is an herbal medicine recommended for its aid in meditation. It improves concentration level and helps maintain calm. Shakhapushpi is an Ayurvedic herb is beneficial in achieving mental peace. It is a rejuvenating tonic for the mind and nerve tissue. Yoga helps in cultivating physical, emotional, mental, and social well-being. 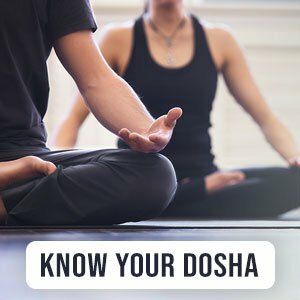 By regularly practicing a range of many different techniques, postures, and movements, one can improve self-awareness and concentration levels. Different techniques and postures will also help in achieving patience and persistence. It helps individuals with learning disabilities feel assured in themselves and surrounding.